Denver Broncos and the Seattle Seahawks may be two of the No. 1 seeds which give them the best odds at playing for the big game. However, if history teaches something, it is that anything can happen in the gridiron. Remember that the last three champions came from the Wild Card Weekend. The Carolina Panthers and the New England Patriots may each earned their first round byes, but the San Francisco 49ers, who won last weekend, actually has higher odds than them. On Saturday, January 11, the New Orleans Saints will take on the Seahawks 4:35 p.m. 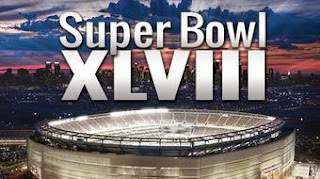 ET, while the Indianapolis Colts and the Patriots will battle it out later that day 8:15 p.m. ET. The next day, Sunday, January 12, the 49ers will take on the Panthers 1:05 p.m. ET, while the San Diego Chargers will play against the Broncos later that day 4:40 p.m. ET. On Sunday, January 19, the American Football Conference championship will be played 3:00 p.m. ET from whichever team will win, then later that day the National Football Conference championship will be played 6:30 p.m. ET. Saints vs. Broncos. Though, Seahawks and Broncos are the top seeds and are most likely to play against each other on the big game, it would still be best to see a revenge rematch between Peyton Manning and Drew Brees with a Saints and Broncos Matchup. Brees and Manning squared it off during the Super Bowl XLIV with Manning still leading the Colts. Now these players are leading the best passing offenses in NFL. It would also be great to see this match, because both these quarterbacks are said to have problems playing under the cold weather. Seahawks vs. Broncos. It is always great to see the best teams battle it out in the championship. This game could easily become an age against youth matchup between Peyton Manning and Seahawk’s Russell Wilson. 49ers vs. Broncos. This game would be another amazing rematch to watch after what happened to the Super Bowl in 1989 when the Broncos got battered by the 49ers 55-10. Colin Kaepernick going against Manning, would also be a great sight to see. Saints vs. Chargers. Drew Brees and Philip Rivers anyone? After a series of unforgettable decisions in the past from both teams and for these players, it would be great to see these to go head on for the Super Bowl XLVIII. 49ers vs. Patriots. These teams’ Coaches Bill Belichick and Kim Harbaugh perhaps practice the law of omerta for never divulging any single information about them outside the team. Besides their coaches, it would also be really great to watch Tom Brady and Joe Montana battle it out for the win. Patriots vs. Saints. Tom Brady and Drew Brees would battle it out for the Happ of Fame title and the Super Bowl championship if these teams would meet each other in the big game. Another head on battle for this match would be the greatest minds of offensive coach Sean Payton against defensive coach Bill Belichick. Patriots vs. Seahawks. The Patriots offense may not be that strong, but Tom Brady can turn this game into a strategic match up as he divides and weakens the Seahawks defense. It would also be a match up of Patriots’ two most recent head coaches who are Seahawks’ Pete Carroll and Patriots’ Bill Belichick. Colts vs. 49ers. Hat game at Candlestick Park in Week 3 between these two teams was such an eye-opener as underdog Colts shocked the defending NFC champion 49ers 27-7. This became Colin Kaepernick’s first home-field loss. It would laos be great to see Andrew Luck going against his collegiate head coach Jim Harbaugh. Colts vs. Seahawks. In this game, fans would see an epic battle between the best quarterbacks from the celebrated class of 2012, Andrew Luck and Russell Wilson. Panthers vs. Patriots. This team had their first match in the Super Bowl a decade ago held in Houston, when the Patriots defeated the Panthers 32-29. These teams also played in a controversial game in Week 11 of this season, when the Panthers won in a controversial play over Patriots 24-20. Panthers middle linebacker Luke Kuechly allegedly mug Patriots tight end Rob Gronkowski at the end zone during that games’ final play. Colts vs. Saints. Underdogs Saints defeated Colts four years ago in South Florida, which denied Manning of a second ring and a legend. That defeat was a great loss for Colts, because right after that, the team lost Manning, head coach Jim Caldwell and the team’s general manager Bill Polian. It would be a great scene to watch Colts take its revenge against the Saints. Panthers vs. Broncos. This would be a great game because Denver’s third-year head coach is Carolina’s most successful head coach, John Fox. It would also be great to see quarterbacks Peyton Manning and Cam Newton play against each other. Panthers vs. Colts. This would be the first time that Cam Newton and NAdrew Luck would meet for the first time. That would definitely be a sight to see. Chargers vs. Panthers. San Diego coach Mike McCoy coached Panthers for 9 years, while Panthers coach Ron Rivera coached San Diego for 4 years. This game would be a great coaching match up. Chargers vs. 49ers. Another Super Bowl rematch straight from 1995 where the 49ers defeated the Chargers 49-26. Chargers vs. Seahawks. Perhaps Charles David Whitehurst A.K.A. “Clipboard Jesus” is the best connections of these teams.